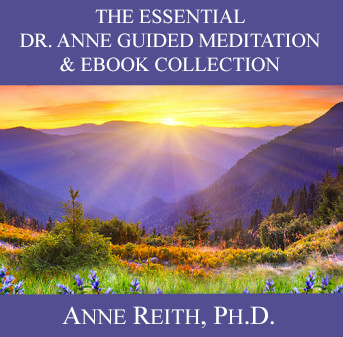 Home / Store / All Products / Trip to the Akashic Records: Guided Meditation by Anne Reith, Ph.D.
Trip to the Akashic Records: Guided Meditation by Anne Reith, Ph.D. Learn How to Explore Past, Present, & Future Lives! Do you ever wonder what is included in your current life script? Have you ever been curious about your past lives? Have you ever thought about your next lifetime or lifetimes after that one? In this guided meditation, Anne’s guides take you on a journey to the Akashic Records, which is the place on the other side of the veil where all of our life scripts are stored – both our current life script and the life scripts from our past lives. Those who listen to Trip to the Akashic Records: Guided Meditation report feeling a deeper sense of faith that everything is happening for a Divinely Ordered reason and that all is truly well. About Trip to the Akashic Records: Guided Meditation by Anne Reith, Ph.D.
Do you ever wonder what is included in your current life script? Have you ever been curious about your past lives? Have you ever thought about your next lifetime or lifetimes after that one? What are my life lessons in this lifetime? What were my past lives? How is a past life influencing my present life? Is the person I’m struggling with now part of a past life? If so, in what way? This recording was an unexpected gift from Spirit. 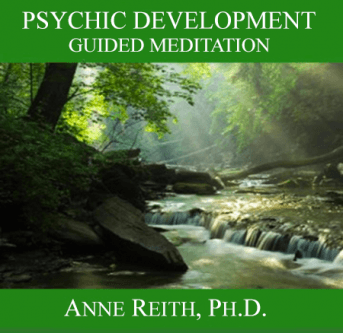 When Anne had finalized her popular Psychic Development: Guided Meditation audio recording, she found that she had extra time left in the recording studio. She paused for a moment and asked Spirit what she should do. Anne’s guides told her to just start speaking and they would handle the rest. This guided meditation is the result. Anne explains the different types of meditation (i.e., “silent sitting” & guided meditation, why meditation is important when learning psychic arts, why meditation can be challenging for some people, and how to make meditation work for you.). Anne’s guides take you on a trip to the Akashic Records in order to explore your past, present, and possibly even your future life scripts! life scripts and past lives, order your instant download today! Shop with confidence! We offer a No Risk 100% Satisfaction Guarantee when you purchase any of Dr. Anne’s online products. If not satisfied, you get 100% of your money back within 90 days of purchase! 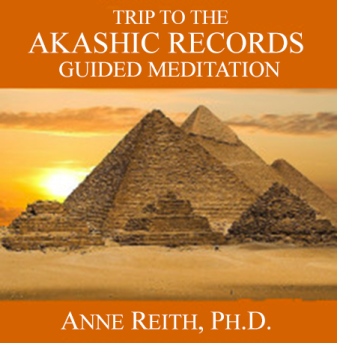 $13.95 Trip to the Akashic Records: Guided Meditation by Anne Reith, Ph.D.
4 reviews for Trip to the Akashic Records: Guided Meditation by Anne Reith, Ph.D.
and it was lovely, I found it to be to fast. Over all I enjoyed it as it is beautiful. 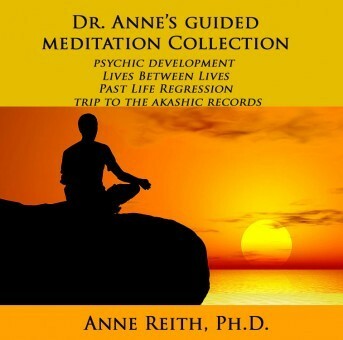 I have purchased both of Anne’s online guided meditations: Psychic Development: Guided Meditation and Trip to the Akashic Records: Guided Meditation. 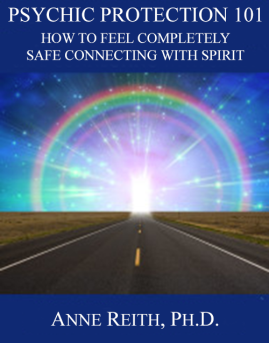 Hearing Anne’s voice during the meditations, I am able to keep opening doors to new levels of confidence regarding my ability to connect with spirit. What I enjoy the most about the meditations is that I’m able to take them anywhere I wish to meditate. Whether I’m traveling or in a busy, noisy house, I simply put in my ear phones and off I go on my peaceful journey. I would highly recommend these products to my family and friends. SAVE 35% Buy 4 Guided Meditations! 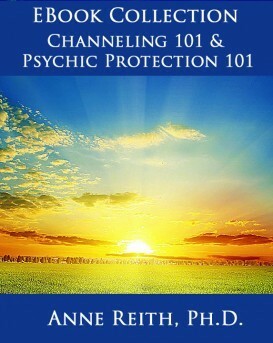 Psychic Development, Trip to the Akashic Records, Past Life Regression & Lives Between Lives! 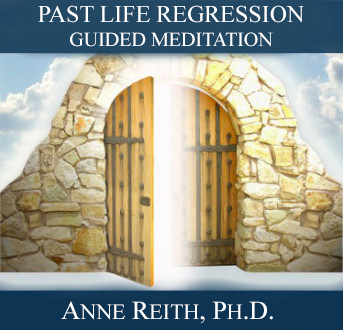 Past Life Regression: Guided Meditation by Anne Reith, Ph.D. 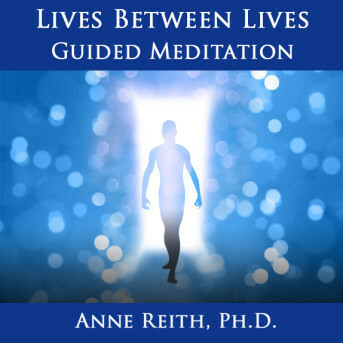 Lives Between Lives: Guided Meditation by Anne Reith, Ph.D.
Psychic Development: Guided Meditation by Anne Reith, Ph.D.
Psychic Protection 101 by Anne Reith, Ph.D.